using our search at the top of the page! Find your nearest drama classes in your county. Acting Classes and Drama Schools and Courses near you. How to get involved in your local Drama School, Dance or Singing Class. Whatever your age, ability or experience there are always Drama classes, Musical Theatre Classes, Film Acting Classes and acting workshops to accommodate you. Finding a drama school near you is easy! 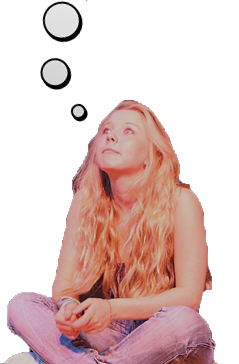 At Dramaclasses.biz we have lots of acting tips, Industry advice and a Comprehensive Directory of UK Drama Schools that offer full and part time acting courses for adults and children, plus a wide range of Musical Theatre Classes and TV and Film Classes. The Performing Arts offers you a chance to expand your creativity, develop confidence and social skills along with developing your own acting technique. Acting Schools on our Directory offer a variety of classes that include, musical theatre, Improvisation classes, method acting, meisner and TV and Film Acting. As well as Summer schools and Easter Holiday workshops. So many UK schools are unable to offer Children's Drama and Performing Arts, luckily the UK have a plethora of part time drama schools near you offering after school drama activities to children and adults. Choosing a school can be challenging so we have a few tips to help you get started. As a young actor starting out it is important to find acting classes that can further your chances of having a career as an actor. Networking is a crucial part of this. From finding the right school, to getting an agent we can help you on your way. Our Acting resources cover many different Drama topics, including how to do a Self Tape, information on acting techniques like Stanisvlaski and Meisner, how to create your own work as an actor and how to market yourself as an actor. Becoming an actor requires passion, determination, talent and staying power. To achieve your dream you must be prepared to work hard and keep improving your craft. For children drama can be a great way to improve confidence, make new friends and develop speech and listening skills. Whatever has brought you to Dramaclasses we hope you find all the information you need to start you or your child on an exciting journey into the Arts. ISSA is the leading specialist screen acting school in the UK. This unique drama school offers One and Two year full-time TV and Film acting courses, as well as part time courses. ISSA is located in the Heart of the prestigious 3 Mills Studios. Rose Bruford College of Theatre and Performance is London's International Drama School. We are also one of the UK's top specialist higher education institutions delivering education in a single subject: theatre training. We think we deliver the best of both worlds through our unique degree programmes and by providing top-flight training that leads to excellent career prospects. We offer vocational, practice-based training for actors. Our students work with exceptional teachers, directors and industry practitioners. We believe that you learn how to excel in the dramatic arts by doing, so all our training is based on practical experience in conditions that will prepare you for the professional world. Formerly known as Birmingham School of Acting, we became part of Royal Birmingham Conservatoire in 2017. With roots as a drama school going back to 1936, we retain the professional outlook and commitment to contemporary training that has seen our drama provision consistently rated amongst the best in the UK (currently ranked as top three in the Guardian League Table 2019). We also train the associated disciplines of Stage Management and Applied Performance, which provides the perfect learning environment to launch your career as a performance industry professional. For over 50 years, we have produced actors, directors, theatre practitioners and technicians for the international stage, TV, film and radio. Italia Conti is a college of Performing Arts which offers quality training in a broad spectrum of skills to prepare students for careers in the performing arts industry, whether it be locally, nationally or internationally. The college provides a stimulating, positive and constructive environment where students are encouraged to develop a high standard of work ethic and conduct which will serve them in any field of endeavour in the future. Drama Studio London is a vocational drama school that trains actors for today's acting profession. Our training is provided to the highest standard for students with talent and maturity of outlook.